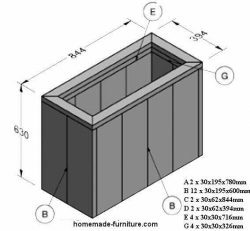 ﻿ Planter construction plans free drawing for rectangular homemade planters. Easy DIY examples to make a barstool. Learn how you can make barstools from reclaimed wood. Scaffolding wood and tubes are amongst the construction materials for these building plans. But there are also more exotic materials that you can use to make a barstool, such as bicycle wheels and oil barrels. Barstool made from reclaimed bicycle wheels. DIY blueprints for homemade beds. Free construction plans and drawings for bedroom furniture. Tips for the home assembly of a strong bed. Tubes from scaffolding and reclaimed wood are the most important construction materials for these homemade beds. Single bed made from scaffolding rods. Benches for home and garden. Do it yourself construction plans to make a bench for inside or in the garden. As with most of our DIY drawings to build furniture, these plans are in the first place designed for reclaimed wood and scaffolding tubes. Easy DIY construction drawings and plans for chairs. Wooden chairs and seats with a metal frame from scaffold tubes. Reclaimed oil drums and bicycles can also be converted into a chair. Pallets are the most obvious wood to make garden chairs. Therefore we have several DIY examples how you can repurpose the planks from a pallet to make a great looking chair. Free construction drawings for homemade furniture. Free plans to make furniture at home for beginners. You do not need any experience nor expensive tools to make this furniture at home. We have a steady increasing number of construction plans for scaffolding furniture made with reclaimed wood and scaffold pipes. 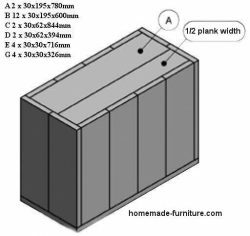 Home made furniture plans for pallets. Easy examples to make furniture at home with just a few basic tools. Reclaimed pallets can be easily converted into chairs or tables. 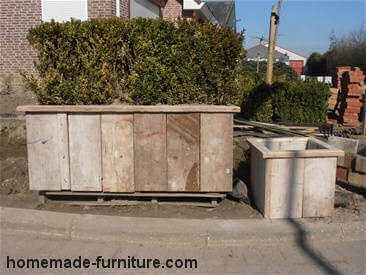 Our construction plans for home made furniture concentrate around the use of repurposed wood. Homemade chairs from a pallet. 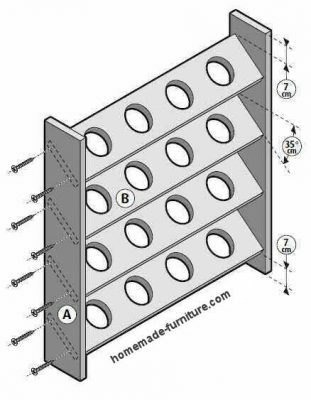 Free construction plans for home made scaffold furniture. 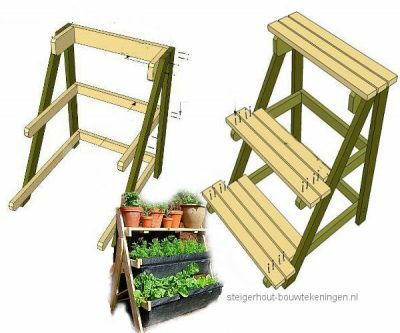 Planter made of wood, free construction plans and drawings. Easy homemade planter plans, instructions for wooden planters made of reclaimed wood and scaffolding planks. Easy DIY examples and construction drawings. Planter construction plans free drawing for rectangular homemade planters. Repurposed as furniture ideas and free woodworking plans. 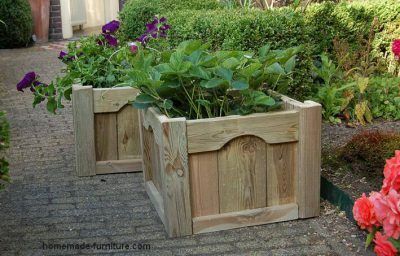 Free furniture plans » Urban garden designs and woodworking plans for homemade planters. » Free construction plans for a homemade planter. Make your own planters out of reclaimed wood. Easy DIY plans and examples to make your own garden furniture and planters. 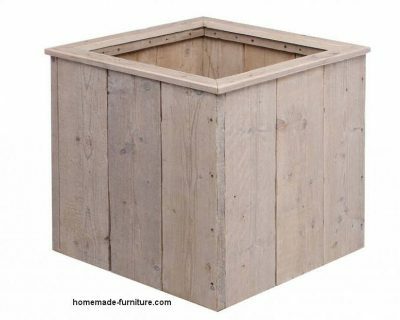 Rectangular and square wooden boxes for your outdoor plants. These planter designs can also be used for inside. You could use these wooden boxes as a embellishing cover for ugly plant pots. The planters are also very nice to use as surround for hydroponic buckets. 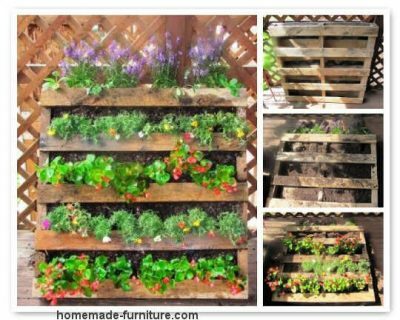 Make these planters from scaffolding planks or wood from pallets. Construction plans for a wooden planter. Parts shopping list to make a wooden box for plants. 4 Planks size 30×195 mm. and 2500 mm. long. 1 Wide slat, 30×62 mm. and a length of 2500 mm. 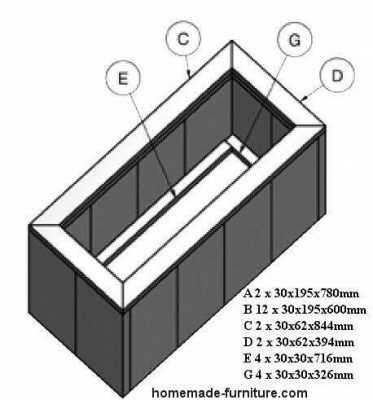 2 Square slats to connect corners, 30×30 mm. and 2500 mm. long. Furthermore you will need a box of 100 selftapping screws, but not all of these will be used. Parts list for a planter made of wood. Parts list to make a wooden plant box. Sizes for a home made wooden planter. The rectangular box upside down construction plan. Compare these parts with the construction drawings for the planter. A 2 Planks 30×195 and 780mm. long. B 12 Planks 30×195 and a lenth of 600mm. C 2 Wide slats of 30×62 and 844 mm. long. D 2 Wide slats 30×62 and 394mm. long. E 4 Square slats 30×30 and a length of 716mm. G And finally the last 4 Square slats measure 30x30x326mm. Planters with a slightly different designed edge. Sturdy recipient for plants, home made furniture example for scaffold wood. Wooden planters as street decoration, easy diy examples. More free woodworking plans, how to make a planter and racks for plants. 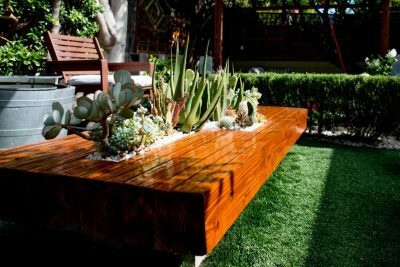 Low table in the garden with succulents in a planter box. Rack for plant pots on multi levels. Urban vertical garden wall covering with plants in a pallet. Attach the planks by screwing through the side panels. 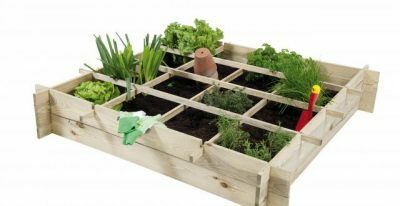 Wooden planter design with square foot divisions in a grid. This page in other languages.